Up until last week the most photographed people in the world were Princess Diana and Michael Jackson. Now only one remains to talk about what it means to live under that kind of scrutiny. Since the allegations of child abuse made against Michael Jackson four years ago, he has been, if possible, even more pursued. 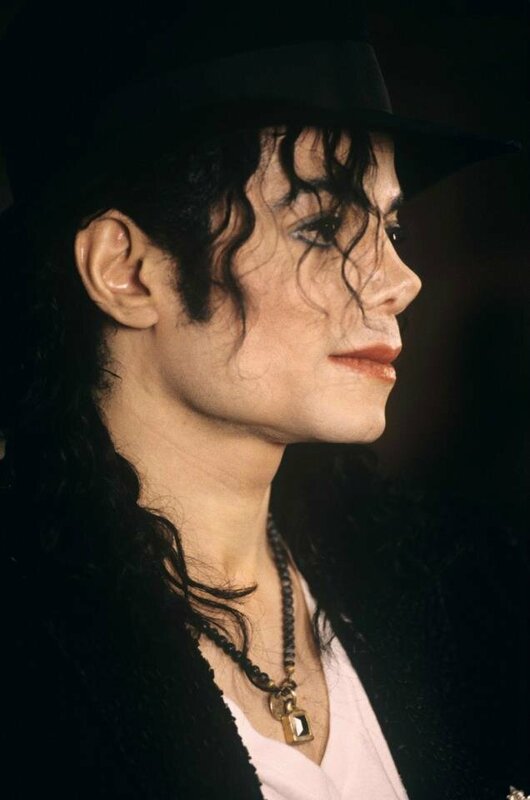 By the way, we checked with the District Attorneys in Los Angeles and Santa Barbara and learned that there is no active case against Mr. Jackson today. 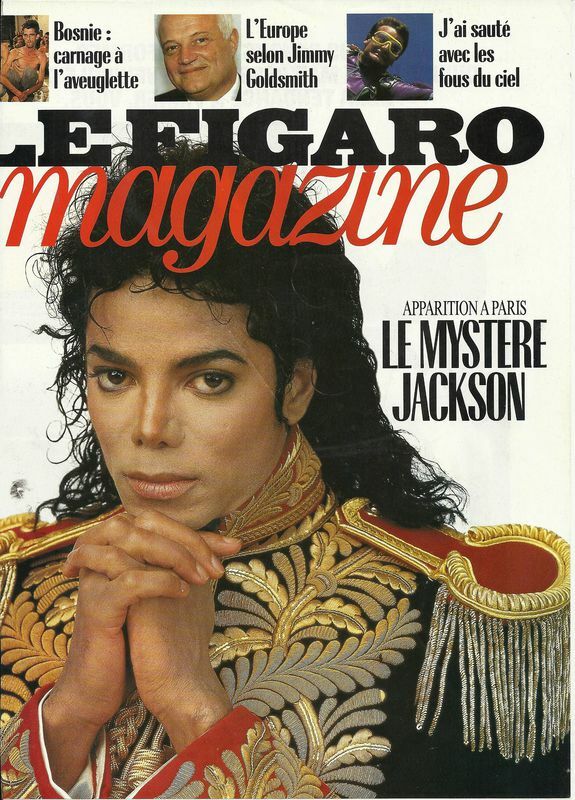 Michael Jackson himself is notoriously shy about giving interviews, but on my way home from covering Princess Diana's funeral, I met with him in Paris to discuss the paparazzi and his personal recollections of the Princess. When it comes to the paparazzi, Michael Jackson says that he feels a bond with Princess Diana. The paparazzi have been a part of his life since he was a small child, the youngest of the Jackson 5. He has been a superstar for 3 decades. At 39, he continues to sing and dance all over the world ... and the paparazzi follow him all over the world. He has been on a European Tour for the last five months playing for over 2 million people. The night Princess Diana died, Michael Jackson canceled his concert, but his last two concerts were dedicated to her. He does not pretend that she was a close friend. She was a fan. 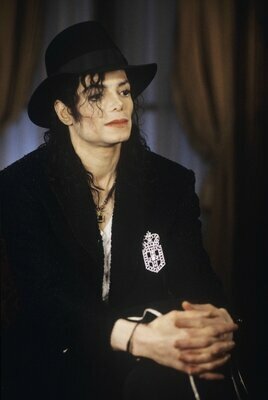 MJ: I met her first at a ... um [clearing his throat] ... concert ... in London. She was very kind ... very loving ... very sweet. BW: What did you two talk about? 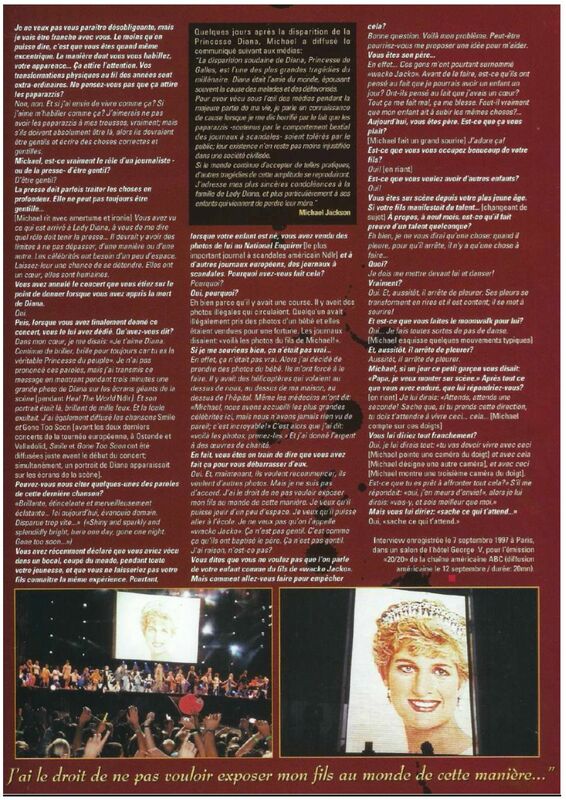 MJ: I wrote a song called 'Dirty Diana'. It was not about Lady Diana. It was about a certain kind of girls that hang around concerts or clubs ... you know ... they call them groupies. 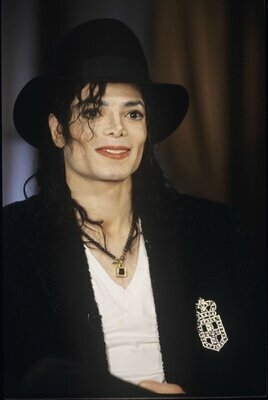 MJ: I've lived with that all my life. These girls ... they do everything with the band ... you know ... everything you could imagine. So I wrote a song called 'Dirty Diana'. But I took it out of the show in honor of her royal highness. She took me away and she said, "Are you gonna do 'Dirty Diana?" So, I said, "No, I took it out of the show because of you." She said, "No! I want you to do it ... do it ... do the song." BW: So, she had a sense of humor with you. MJ: Yeah, of course. And she told me she was honored to meet me and I said, "It's an honor to meet you." BW: How did you hear of her death? MJ: Um ... I woke up [in a very soft, reflective voice] ... and my doctor gave me the news. And I fell back down in grief ... and I started to cry. The pain ... I felt inner pain ... in my stomach ... and in my chest. [Michael's voice begins to break slightly]. So, I said, "I can't ... I cannot handle this ... it's too much" ... just the message ... and the fact that I knew her personally. Then on top of that one ... I said, "There's another one ... real soon ... I feel it coming ... there's another one ... it's another one coming and I pray it's not me ... please don't let it be me ... then Mother Theresa came..."
BW: Are you psychic ... is that what you're saying? MJ: I don't want to say that, but I've done it before. BW: And you thought it might be you? MJ: Yes. [Looking down at his clasped hands] I've been living that kind of life all my life. The tabloid press ... that kind of press .. Not the press ... the tabloids ... the paparazzi ... that type. I've been running for my life like that ... hiding, getting away. You can't go that way cause they're over there ... well let's go this way and pretend we're going that way ... and we'll go that way. Somebody should say, " Hold on! Stop! This person deserves their privacy. You are not allowed to go there!" I go around the world dealing with running and hiding. You can't ... I can't take a walk in the park ... I can't go to the store ... you can't ... I have to hide in the room. You feel like you're in prison. BW: What's been the most intrusive thing? What's the worst? MJ: They always have been ... they go as far as to hide things into places. They'll slide a machine up under the toilet ... tch, tch, tch, tch [Michael makes a sound effect like clicking a camera] ... and you go, "Oh, my God!" They've done that. BW: When you came into this hotel, you had to come in ... or you felt you had to come in ... through the kitchen. MJ: I've been doing it for years. In many lobbies, I have never seen the front door. Never. BW: Did you ever try to outrace the paparazzi? MJ: They follow you. They chase us on their scooters [makes another sound effect like a racing engine - vrrrum, vrrrum]. BW: Cutting in front of you? MJ: Yes. And I have to say to the driver ... I say, "Slow down." I jump in and I say, "You're gonna kill us." I say, "Slow down." I've done that many times. "You're gonna kill us." So, he jumps out of the car and yells at these people. BW: You know, there is that argument that you rely on publicity to sell your albums ... for your concerts ... that you want it. MJ: When I approve of something, yes. BW: But you can't always control the press. You can't approve of everything. You can't invite them in again and again and then, at a certain point, close them out. BW: Well, how do you do that? What is that line? MJ: By doing that. This is their time for this ... and this you should not do. 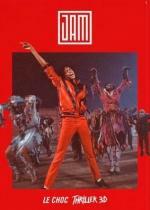 You should not say, "he's an animal ... he's a ..." You should not say, "he's Jacko." I'm not a "Jacko." I'm Jackson. MJ: Yeah ... Wacko Jacko ... where'd that come from? Some English tabloid. I have a heart and I have feelings. I feel that when you do that to me. It's not nice. Don't do it. I'm not a "wacko." BW: There are those who would say that you add to the attention. BW: Well, the masks ... the mysterious behavior. MJ: There's ... no, there's no mysterious behavior. There's a time ... when I give a concert ... I like to have as many people who want to come can come and enjoy the show. And there's a time when you'd like to be in private ... when you put on your pajamas and go to sleep ... cut out the light [MJ makes a "chi ching" sound effect, to mimic a light pull switch] ... and you lay down ... that's your private space. You go in the park. I can't go in the park, so, I create my own park at Neverland ... my own water space ... my movie theater ... my theme park ... that's all for me to enjoy. BW: I don't want this to sound insulting. I'm just gonna be straight with you. But You are somewhat eccentric to say the least. The way you dress .. The way you look ... it invites attention. The whole appearance as you grew up was ... larger than life ... more extreme. You don't think that calls the paparazzi to you? MJ: No [shaking his head] ... no ... maybe I like to live that way ... I like to dress that way. I don't want the paparazzi, really. But, if they come, be kind ... write the right ... kind thing to write. 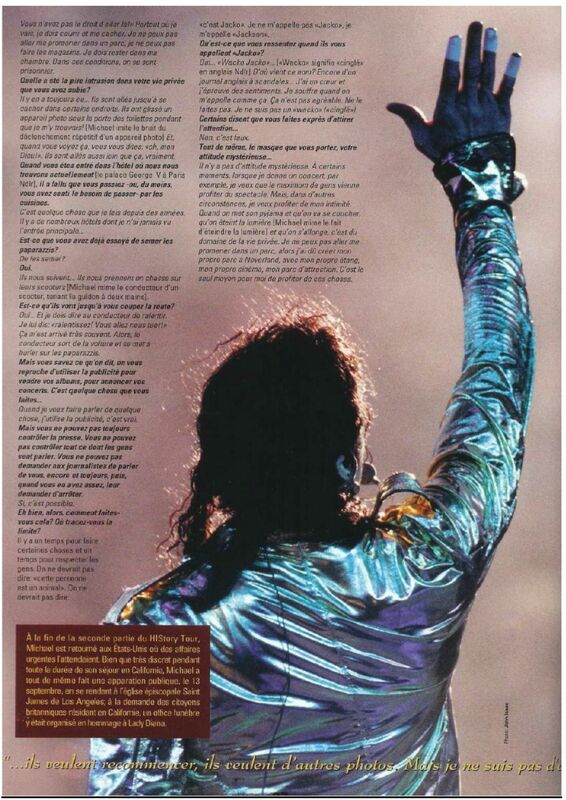 BW: Michael, is it the journalist's role ... or the press's role ... to be kind? BW: Because the press also sometimes has to look into things ... be tough. It can't always be kind. 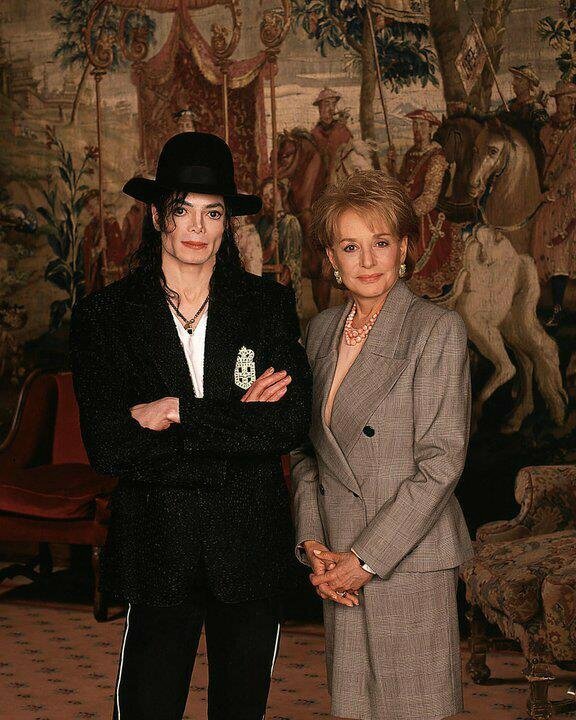 MJ: [laughing] What you saw ... what happened to Lady Diana ... you tell me. There should be some boundaries ... some kinda way. The star needs some space. Give him a chance to relax. He has a heart ... he's human. BW: You cancelled the concert you were about to do when you heard of Diana's death. BW: And when you finally did a concert, you dedicated your concert to her. What did you say? BW: Give us some of the lyrics, if you can. 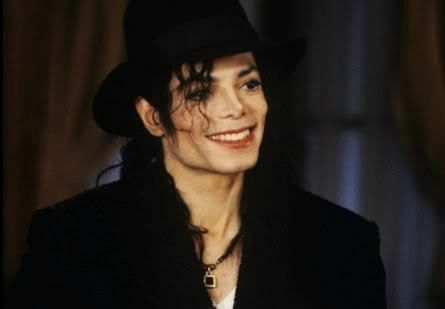 MJ: Shiny and sparkly and splendidly bright ... here one day ... gone one night ... Gone too soon. BW: You have said, "I grew up in a fishbowl. I will not allow that to happen to my son." Yet, when your son was born, you sold pictures to the National Enquirer and to other European papers, tabloids. Why did you do that? MJ: Because, there was a race. There were some illegal pictures out. Illegally, somebody had taken pictures of a baby ... and millions of dollars ... said, "here's Michael's son." BW: And it wasn't, as I recall. MJ: And it wasn't. So, I took the pictures of the baby. I said, "they're forcing me to get his picture." There's helicopters flying above us ... flying over my house ... flying over the hospital ... um ... machines and satellites all over. Even the hospital said, "Michael, we've had every kind of celebrity here ... but we've never had it like this. This is unbelievable." And, so, I said, "here ... take it." And I gave the money to charity. BW: So, rather than ... in a sense, what you are saying is ... what you did was to get them off your back. MJ: Yeah ... and now they want to do it again ... and I don't want ... maybe I don't want to show him to the world like that. I want him to have some space ... where he can go to school. I don't want him to be called "wacko jacko." That's not nice. They call the father that. That isn't nice ... right? BW: You said you don't want your child to be called "wacko jacko's son." [lowering her eyes, obviously unhappy at having to repeat the hurtful appellation] How are you going to prevent it ... so they don't do it to him? MJ: That's the thing ... that's the idea. Maybe you should come up with a plan to help me. MJ: There you go. They created that. Did they ever think that I would have a child one day ... that I have a heart? It's hurting my heart. Why pass it on to him? BW: Do you like being a father? BW: Are you very involved with him? BW: Do you want more children? MJ: Yes [with an embarrassed laugh]. BW: You have been in the spotlight since you were a baby yourself. BW: If your son showed talent ... by the way does he show any talent at nine months? MJ: Well, I'll tell you this much ... when he's crying ... to keep him from crying, I have to do one thing. MJ: I have to stand in front of him ... and dance. MJ: Yes. And he stops crying. His tears turn to laughter ... and he's happy [with a clap of his hands], he smiles. BW: And do you do your moonwalk with him? BW: And then he stops crying? MJ: And then he stops crying. BW: You must do a lot of dancing. MJ: [Laughing louder] I do a lot of dancing, yes. BW: Michael, if this little boy says, "Daddy, I want to go on the stage?" BW: After what you've been through? BW: You'd lay it all out? MJ: I'd lay it all out. "See you're gonna get all this [pointing to one of the camera positions] ... and all this [pointing to another camera position] ... and all this [pointing to a third camera position.] You ready to do that?" [If he says] "Yeah, I can't wait." Then I would say, "Go... and do it better than I did." MJ: Know what you're in for.